It’s Time to Invest in Some No-Show Socks. Try These Five. Guys, we need to chat about the no-sock look. We’re all for it, but you still need to, y’know, wear socks. No-shows, to be exact. Those dainty little things? They can’t possibly be doing anything! Except yes, they are. They may seem insignificant, but they are in fact the difference between a normal day at the office and you and your radioactive hoofs being quarantined in the supply closet. Fung fact: according to London’s College of Podiatry, fungal infections are on the rise in young men. The main culprit: going sockless. Buying shoes that actually fit is an easy fix. As for no-show socks, here are our favorites. Do yourself — and the lady who has to smell the aroma emanating from your end-of-day dogs — a favor and pick some up posthaste. 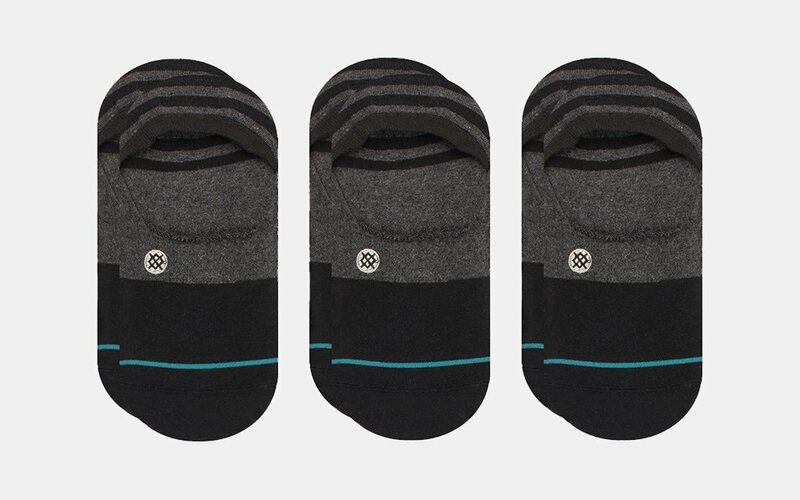 Arvin Goods: Yes, sustainability can even be found in sock form. Every product Arvin makes comes from 100% donated and upcycled materials — but how do they feel? Top-notch, thanks to a terry loop padded footbed and integrated arch support. Paul Smith: Smart, Italian-made socks knitted from a lightweight stretch-cotton blend. Outlier: A combination of micron merino wool, a natural performance fabric that’s odor resistant and moisture wicking, and nylon. Made in the U.S.A. Take $16 off if you buy three. Stance: While it is touted as “super invisible,” the Gamut sock offers a reinforced heel and toe, as well as a silicone gripper on the heel so it’s also super reliable. Nice Laundry: The LeBron of foot coverings, made from a proprietary fabric known as Hydra10 nylon which absorbs more than 10 times its weight in water.